These beautiful, creamy concealers are mineral based and infused with naturally powerful anti-oxidant oils. Packaged in a matte black, mirrored compact, the two shades are designed for every skin tone, works by blending with your natural colour. By buying this product you can collect up to € 0.50 with our loyalty program. Your cart will total € 0.50 that can be converted into a voucher. Hydrating, moisturizing, line-softening, skin-perfecting coverage. Our Cream Concealer is packed full of skin enhancing oils and mineral colour that nourish, hydrate and even help heal skin. Nourishing vitamin E helps heal skin. Organic Coconut, Jojoba Seed, Castor Seed Oil & Cocoa Seed Butter help smooth & hydrate skin. The colours blend and self-adjust to your natural skin tone. It's hard to choose a wrong shade. Try a lighter shade for under eyes and a darker shade for all over. 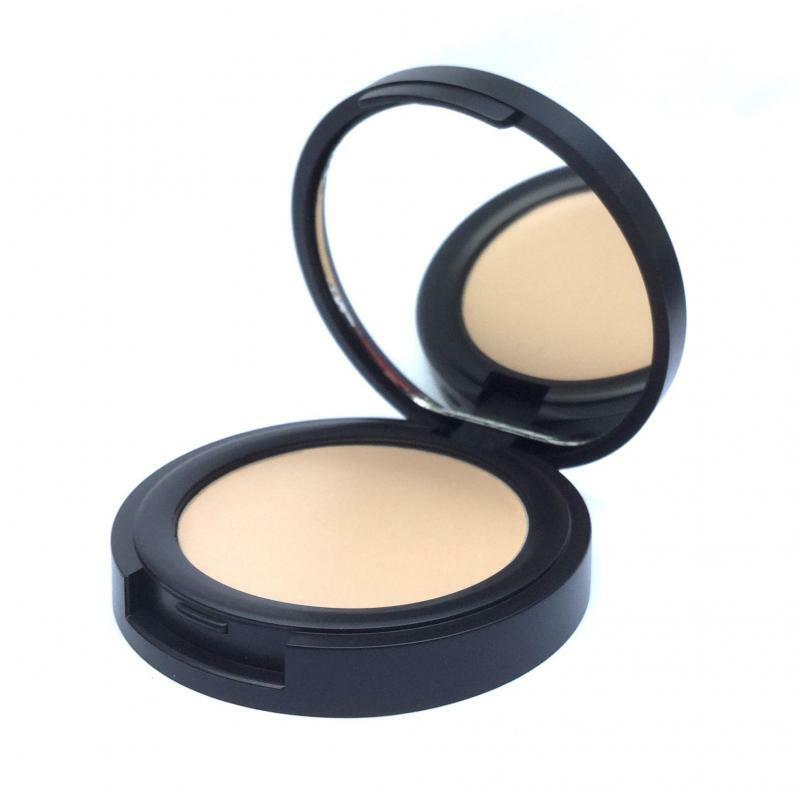 Each shade may be used separately, or blended to better match complexions. How to use it: Warm the cream with your fingers and tap lightly into well moisturised skin. The areas most likely to benefit from the skin adjuster will be around the cheek, nose, chin and under the eyes. Tip: Blend it gently, as the effect will be lost if sunk into the skin.